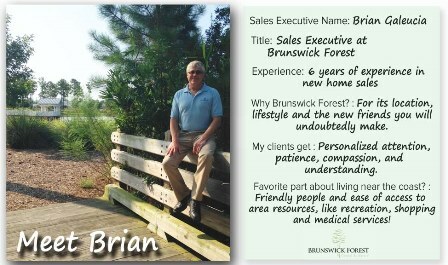 Meet Brian Galeucia, one of the many talented sales executives at Brunswick Forest! 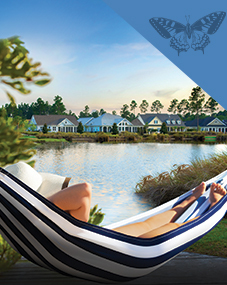 Brian has worked in new home sales for the past 6 years, all of them in Brunswick County. Brian’s personalized attention to client’s needs and his superior qualities of patience, compassion, and understanding allow his clients to truly feel comfortable while learning more about the real estate opportunities at Brunswick Forest. 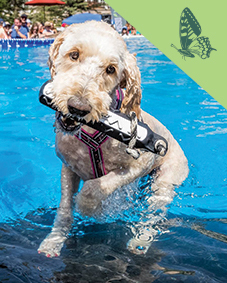 Personally, Brian’s favorite parts about living near the coast are the friendly people and ease of access to area resources like medical care, shopping and recreation.